Door Guards and Kickplates prevent damage from accruing on doors and doorways, two locations that receive a high degree of traffic and abuse. Patrons kick doors, wheeled carts scrape against door frames, and the accumulated damage wastes both time and money. Proactively prevent door and doorway damage with door guards and kickplates, two products that are simple, effective, and easy to install. Choose from a variety of colors and finishes to ensure maximum door protection that will not disrupt existing design or decor. 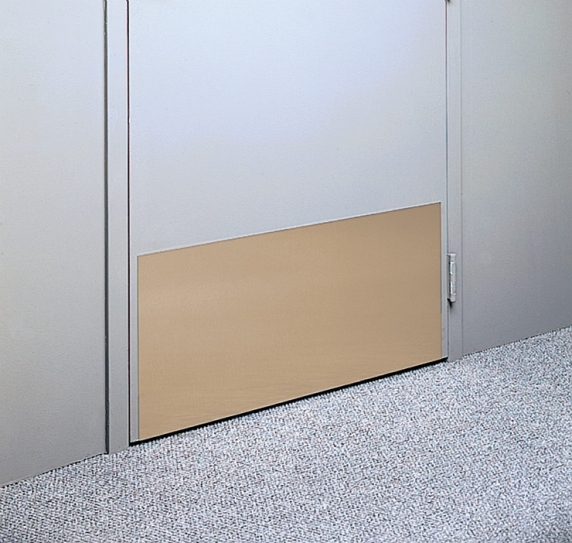 Blackfoot® Kick Plates protect doors from everyday kick marks, scuffs, scratches, and dents. Choose between Brass or Stainless Steel construction, both of which have a durable 18-gauge thickness. Custom sizes available. Call for pricing. 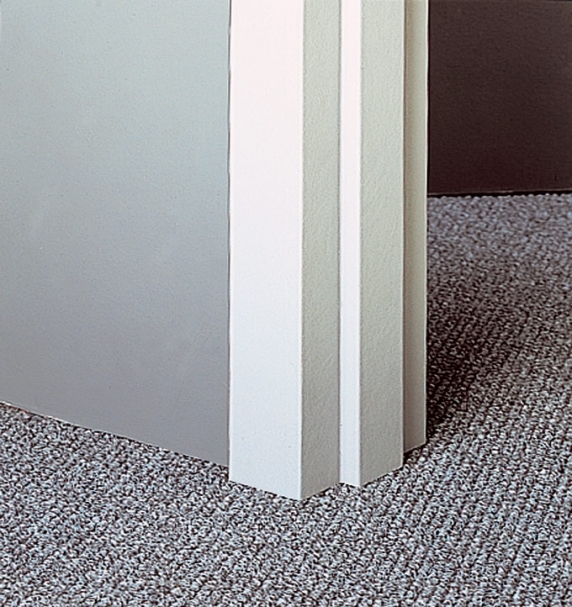 Gemini® Door Frame and Edge Protectors are the perfect way to prevent doorframes from accruing damage over time. Protect both sides of the doorway from nicks, scrapes, dents, and other damage. Ideal for use in areas that experience vehicle and light machinery traffic. Door frame lengths are custom cuts. Meteorite® Vinyl Kick Plates reinforce the bottoms of doors with added acrylic vinyl to prevent damage from shoes, carts, dollies, and other wheeled equipment. Available in more than 55 colors, these kickplates are sure to protect doors while maintaining existing interior aesthetics.